Wedding transport includes the journeys during the day. Evening transport is the journey after the wedding back to your accommodation. Honeymoon transfer is the journey to any location in Britain and the return. If you pay a booking fee for this service before the wedding, you can change the date/location and it will still be valid for up to 12 months, subject to availability. After years working in finance and IT, Dave Barnes craved a change of career. Or rather, to go back to his roots. His father and uncle had a car garage business in the small villages of Dauntsey Lock and Lyneham; cars had been, and still are, a family passion. 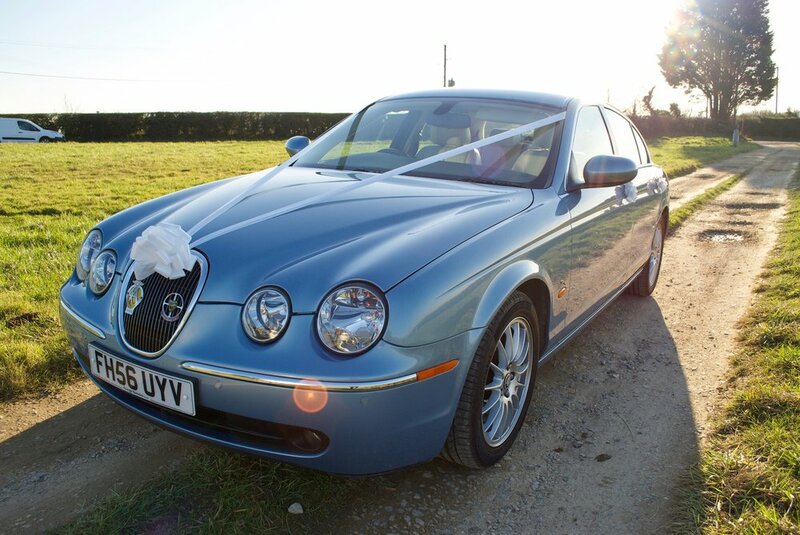 Over the years he had used his Jaguar cars (XFS & S Type) for many family and friend's weddings. Seeing an opportunity to…. They will reply within 24 hours with a quote and offering you the opportunity to come and view the cars and to discuss your requirements face to face. As they get booked up very quickly, they will require a booking fee to secure your wedding date. When you have booked, they will send an invoice via email and a list of all the details they require to complete the booking. They will then complete a ‘booking form’ with those details and send it back to you to confirm it is correct. This helps to prevent any misunderstandings and ensure your day goes smoothly. Six weeks before the wedding, they will get in touch to confirm the details are still correct and also to remind you that the final payment is required one month before the wedding. Your chauffeur will do a ‘test run’ of the routes for your wedding in the week before to make sure he knows where to go and also to be aware of the current road conditions. On the wedding day, your chauffeur will arrive in the local area 2 hours before he is required to clean the car after the journey from their base. He will then aim to arrive at the first location 15 minutes before the agreed time to guarantee he is there when required. To read more about what to expect for the honeymoon transfer to and from an airport, click this link. They will respond within 24 hours.